The North Carolina State Wolfpack and the North Carolina Tar Heels will battle on Tuesday at Dean Smith Center in Chapel Hill. The Wolfpack have lost three of four, causing them to drop out of the Top 25. The Tar Heels have won five in a row and climbed to No. 8 in the latest poll. TV: 8 p.m. 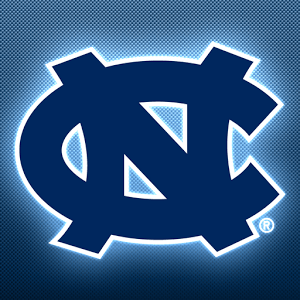 ET, ACC Network LINE: UNC -10.5; O/U: 163.5. N.C. State’s loss on Saturday was a historic one. The team scored the fewest points by a ranked team in the shot-clock era. They got hammered in a 47-24 loss to Virginia Tech. North Carolina got some revenge on Saturday. They got a win at Louisville 79-69. That was three weeks after the Cardinals crushed the Tar Heels in Chapel Hill, N.C. The Wolfpack are 16-6 overall, and 4-5 in the ACC on the season. The Wolfpack average 81.6 points per game. which is 30th in Division I. They hit just 9-of-54 shots. This resulted in the lowest field-goal percentage in a game in the history of the ACC. That is only 16.7%. Yes you read that correctly. N.C. State was 2-of-28 from 3-point range. The output was low-lighted by Braxton Beverly’s 0-for-9 performance beyond the arc. If there was a positive for the Wolfpack to take away from the game, it was on defense. They limited the Hokies to 35.6 percent shooting while winning the turnover battle 12-10. Despite averaging over 80 points per game, N.C. State hasn’t cracked the 80-point plateau in six consecutive games. The Tar Heels are 17-4 overall and 7-1 in the ACC for the season. Luke Maye had a game-high 20 points on 7-of-18 shooting. He also had 11 Windex’s. Three other Tar Heels hit double figures in scoring. Cameron Johnson had 20, Garrison Brooks scored 12, and Kenny Williams chipped in 10. North Carolina was dominant inside against the Cardinals. They won the rebounding battle 49-32, including 18-7 on the offensive glass. Maye had 21 points and 11 rebounds against the Wolfpack earlier this season.